There is optimism that the COP23 negotiations will see good progress in making the Paris Agreement operational. The COP23 meeting is taking place at a moment where countries are conscious of the risks of climate change and the impact and suffering it produces. 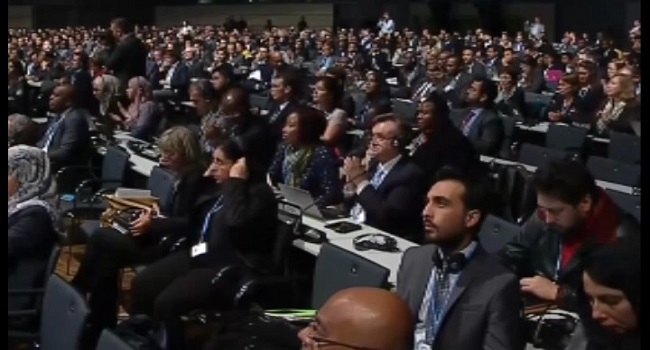 UNFCCC Executive Secretary Patricia Espinoza says the meeting will allow the countries to come together and have a joint assessment of its pledges to the reducing of carbon emission and lets them set a new level of ambition. With the theme Further, Faster, Together – the COP23 Presidency and the UNFCCC are confident negotiations over the next two weeks will meet the goals set in the Paris Agreement. Espinoza admits that pledges made so far under the Paris Agreement are not enough to meet the objectives of the agreement itself. Hundreds of meetings and plenaries are also happening on the sides of the main negotiations in the Bula Zone in Bonn.